Chuck E. Cheese complaints number & email. I had the opportunity to visit this particular Chuck-E-Cheese on both March 9th and 10th. The first day it was rather busy so I chose to overlook the staff unfriendliness, bathroom uncleanliness and etc. The people at the party I was with made complaints throughout and they were not adequately taken care of. At least not in my opinion. With that being said that was Saturday. Well on Sunday I went for another birthday party. This one relatively small in size. The employees have horific attitudes. When you ask for a manager there not around. The salad bar had hair in it and even toy beads some child left behind. Are employees not supposed to regurlarly check the salad bar? I will not visit this facility again. Instead I will stay with the one in Hendersonville where I live. That chuck-e-cheese needs to be closed down. I even watched them allow people to take kids out who had no kids scanned in with them. Where is the safety? 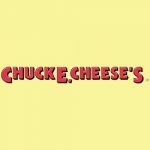 Get verified information about Chuck E. Cheese complaints email & Phone number. If you need to make a complaint to the Chuck E. Cheese, call 1-888-778-7193. If you wish to take matters further, a range of contact options are shown on the website. Call the Chuck E. Cheese complaints line on 1-888-778-7193 Monday-Friday 8 am-5 pm (CT). If you need to take matters further, the ‘Contact Us’ section of the website presents several clearly laid out options along with a description of the complaints procedure. You can choose between postal or online written contact, phoning via 1-888-778-7193 or visiting your local branch. Chuck E. Cheese’s is a chain of American family entertainment centers and restaurants. The establishment serves pizza and other menu items, complemented by arcade games, amusement rides, and animatronic displays as a focus of family entertainment. Hopefully, We helped you to get some genuine records for Chuck E. Cheese Complaint information. Use below complaint form to discuss problems you have had with Chuck E. Cheese , or how they have handled your complaints. Initial complaints should be directed to Chuck E. Cheese directly. You can find complaint contact details for Chuck E. Cheese above.